The promo is open to all customers who will purchase any of the participating Lenovo Legion products from March 01-31, 2019. We're coming in as hot as the summer heat with blazing new sale prices for your favorite #ZenFones, with the #ZenFone5 taking the spotlight! Get up to P20,000 worth of freebies, as well as PUBG game codes for the first 50 pre-orders! 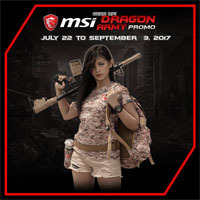 Post a review for your RTX MSI Gaming notebook and receive FREE 15 USD STEAM WALLET!! Get FREE JBL Clip 2 Bluetooth speaker and 2-Year Lenovo Accidental Damage Protection for every purchase. PROMO EXTENDED! until March 31,2019 to get a Php 9,000 worth of freebies! Christmas came early for Asus and ROG. Get up to 60K worth of Premium Items for FREE (Sperry GC, PUBG Game and a lot more!) Click here for more details.. When, if not now? Discount up to P4,000! Enjoy and get the Huawei experience with these HUGE DISCOUNTS! Get your own Nova 2i for ONLY P11,990 from P12,990 OR P20 lite for ONLY P13,990 from P15,990! We're celebrating Lazada's 6th Birthday Festival, and we're excited to offer PHP 6,000 OFF on ALL Core i5 and i7 laptops, and PHP 600 OFF on ALL Core i3 and Celeron laptops, as well as projectors on the Acer Philippines Lazada store! Pre-Oder No1 (21st - 27th April 2018) and Get a FREE Canon Selphy CP1300 worth P8,998! Buy one (1) Epson L405 Ink Tank Printer and get 70% discount or php 2,061 OFF on the new LW-K400 label printer, Until February 28, 2018. School is Over! Gear up and explore with there gifts from Seagate. Buy a participating products and get a Free Aquazorb Sports Towel, Tactics Bag, Seagate Hard case and Seagate Soft pouch from FEB 15 - 31 MAR 2018. Get Free WiFi Dongle for every purchase of Epson EB-U04 Projector, Available in 12 months at 0% interest for all major credit card holders. Take one of these items with you (Soft Pouch, Leather Pouch, Hard Case or Logitech Speaker) for every purchase of selected Seagate Drives from 15th Aug to 30th Sept. Hurry! Valid while stocks last. Get a Free Huawei Bag and Case for every purchase of Huawei Y5 2017. Because #AcerCares, we are now introducing a two-year warranty program on all Acer laptops! Having a PC emergency? Rush to your phone and call Acer's Door-to-Door Warranty Service hotline to have it repaired for FREE without even leaving your home! Lenovo Pick Your Sleek SALE!!! 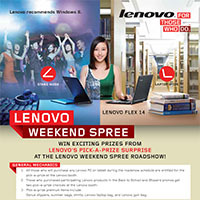 Free Lenovo ODD on selected Sleekbook Model from Jan. 15 - Feb. 28, 2013.